You provide us your league information and we do the heavy lifting. 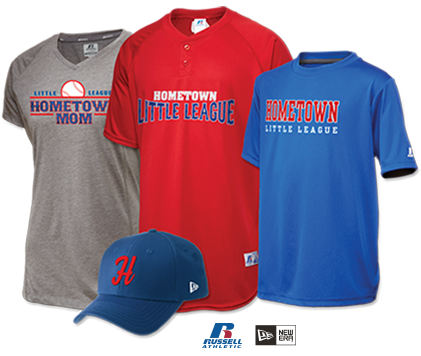 Your Little League® Custom Gear Shop will have leading brands, such as Russell Athletic® and New Era®. 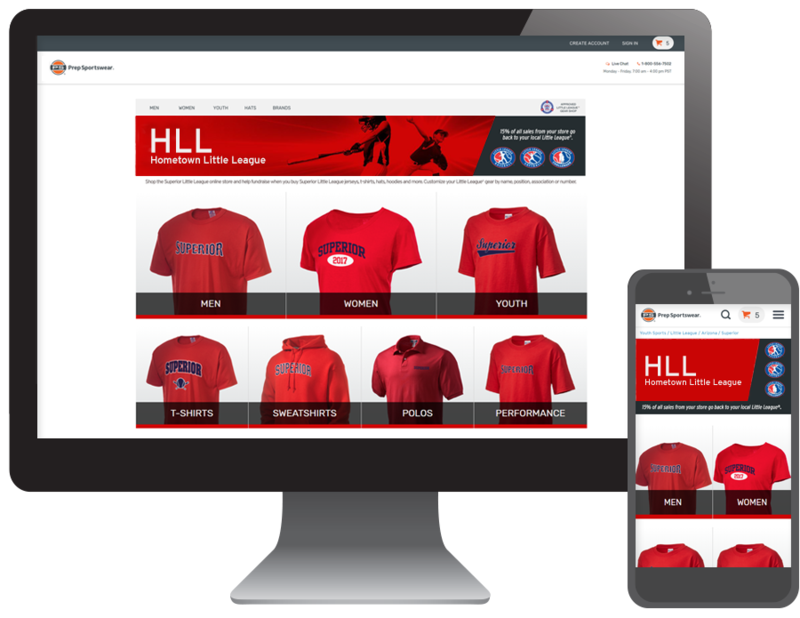 Store visitors can shop from a wide selection of products for everyone, including the player, coach, league official and fan. Plus, 15% of the net proceeds goes back to your league! Once your custom gear shop is live, start spreading the word and watch the fundraising dollars grow. You can easily access fundrasing and payment details through our Partner Central. You will even have access to marketing tools to help get the word out. This fundraising solution is Little League® approved. Little League Baseball, Little League, the medallion and the keystone are registered trademarks and service marks belonging exclusively to Little League Baseball, Incorporated. Visit Little League® at www.littleleague.org for more information. ©2017 Little League Baseball, Incorporated. All Rights Reserved.